Despite the best efforts of specialists in Celtic studies over the past four decades, the temptation to characterize certain elements in Old French or Middle English romances and tales as “Celtic” seems still to be irresistible to many scholars.1 The ancient and long-discredited attempts of R. S. Loomis and his followers to find a “Celtic” hero lurking behind every knight, or a Welsh or Irish text behind every narrative element, have not, apparently, lost their attraction. Nonetheless, we cannot ignore the supposedly Welsh setting of many French and English romances, and the high incidence of names of Welsh or Breton origin in such texts, most especially Arthurian narratives from Marie de France and Chrétien de Troyes to Thomas Malory. 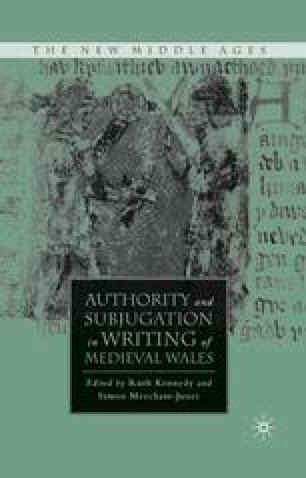 Teasing out the relationship between, on the one hand, extant sources in Welsh (or in other Celtic languages) and, on the other, highly literary texts produced in very different social, political, linguistic, and cultural circumstances cannot proceed without an understanding of those circumstances. The interface between Welsh material and that read in England, whether in French or in English, should be seen as a two-way process.